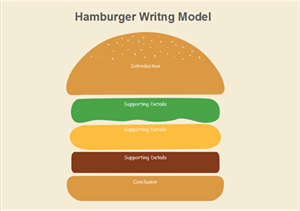 It's always time-saving and cost-effective to apply storyboards into classroom use. 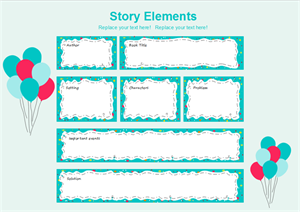 Read this page to download free professional storyboard templates. 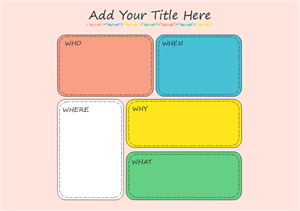 A storyboard is a strategy that uses a graphic organizer to help students learn the elements of a book or story. By identifying story characters, plot, setting, problem and solution, students read carefully to learn the details. 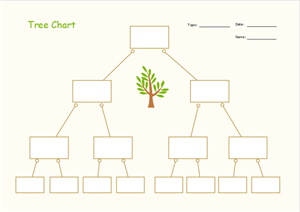 There are many different types of storyboard graphic organizers. The most basic focus on the beginning, middle, and end of the story. More advanced organizers focus more on plot or character traits. It may take some time to design a new storyboard. Considerate as Edraw has always been, Edraw provides users with free ready-to-use blank storyboard templates as below. All contents in these templates, including symbols, icons, texts and even the layout can be edited at your will. You are able to print and share them for free. 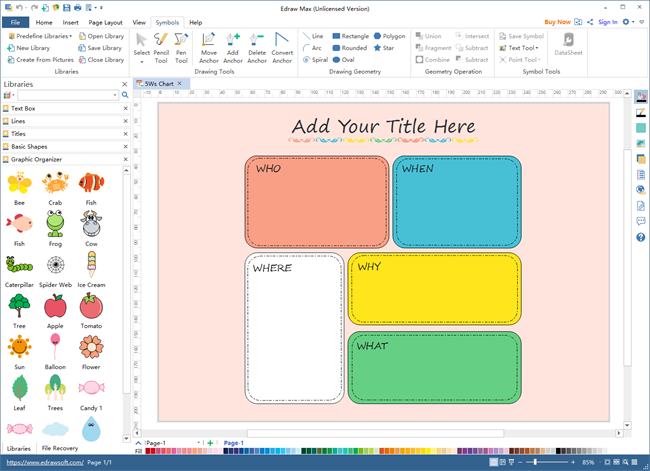 Apart from the professional attractive storyboard templates displayed above, Edraw also provides users with various corresponding editable elements to design storyboards. A great number of pre-made vector symbols are provided into different groups for users to drag and frop. Users are allowed to change its dimensions, colors and directions, etc. The built-in drawing tools give you ability to design your own storyboard symbols. 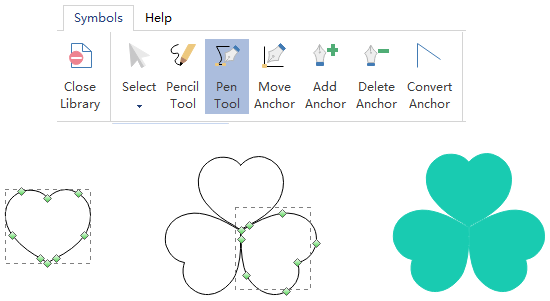 You create a curve by adding an anchor point where a curve changes direction, and dragging the direction lines that shape the curve. The length and slope of the direction lines determine the shape of the curve. Run this program, you will find free vector birthday cards templates. Simply edit its layout, text content, font style, text alignment, rotate or clip images to personalize your own cards. You can also insert the local pictures to the drawing page. Once the card is completed, you can export it to pdf, html, jpg, png format, etc or print it out directly.